Michael Maxwell here to introduce the newest category on Your Own Backyard. I am proud to present to you the first recipe in The Lunch Lady Cookbook. I am your host, The Lunch Laddy. Combine rice and water, bring to boil, and simmer until done. Lightly saute chopped veggies in olive oil. Add garlic last so it does not overcook. Drain red beans. Combine rice, veggies and beans in 2 Qt Casserole. Add seasonings to taste. Don’t go hog wild, but it’s gotta have some hair and teeth. Cover with shredded cheddar. Bake at 350 in Covered Casserole for 45 minutes. Serve with tortillas and top with healthy dollop of sour cream and salsa. Yummy- can’t wait until dinner! It’s coming. The Lunch Laddy vows to actually make the recipe he posts for dinner on the day he makes the post. Art as life and vice versa! Hah! I WISH our lunch ladies had ever cooked anything this good! Haha! More to come from The Lunch Lady Cookbook including Lunch Lady Mac and Cheese, Lunch Lady Meatloaf and Lunch Lady Sloppy Joes but the next recipe will be written in the form of a slam poem! Well, I just sampled this recipe, and I am in heaven! Red beans and rice , always a favorite, has been taken to a new level. Thank you, Lunch Lady, and Lunch Laddy , for cooking up a storm! The Lunch Laddy appreciates that you appreciate his cooking from the Lunch Lady Cookbook! 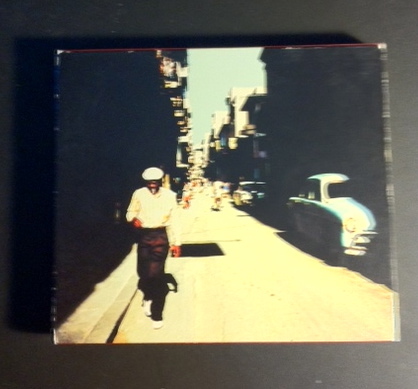 Buena Vista Social Club is great with everything. Yes it is! Thank you so much for reading and commenting! Looking forward to checking out your site! Ah, this made me hungry. I like this topic. I especially like the beer and music pairings. 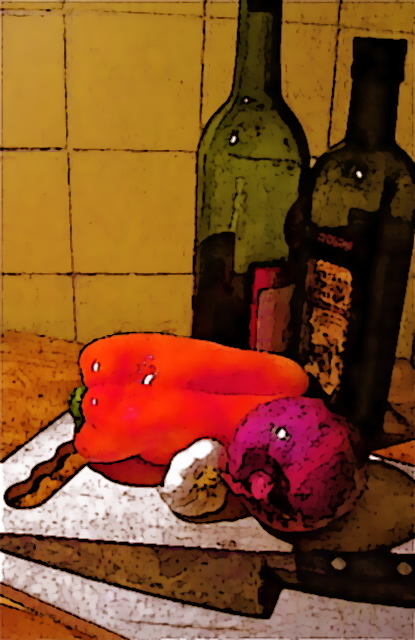 Cook on! Thanks Jules! More to come! I love reading your stuff – it makes me smile. I never realized your were such a talented cook! Can’t wait for the next recipe to be available. Thank you, Lunch Laddy! Thank you for reading and commenting. Lunch Laddy will be posting a classic warm weather recipe next week!